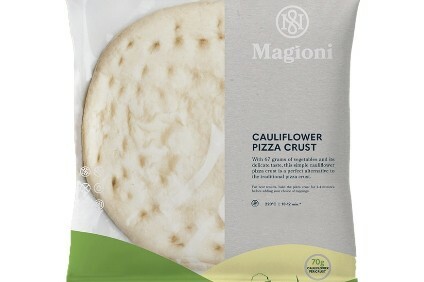 Magioni, a fledgling supplier of plant-based pizza products, is looking to ramp up its international presence, with talks in a clutch of countries that could see the Dutch firm build on moves in Belgium and the UK. The privately-owned business, which markets plant-based pizza bases and topped pizza under its namesake brand, has secured listings in its home country with Dutch chains Albert Heijn, Jumbo and Plus. Albert Heijn also stocks Magioni products in its stores in Belgium. The firm, set up by entrepreneur Manon van Essen, is entering the UK this week, with upmarket grocer Waitrose set to list the company's pizza bases, which are made from ingredients such as cauliflower and courgette. Waitrose is set to stock some topped pizzas from September. Magioni has its sights on more markets. "They are currently talking to distributors and retailers in six other countries after first meetings went well," a spokesperson said, although he declined to name the potential new markets.